Susan Kadish and Christopher Delloiacono, both Long Island-based artists specializing in three-dimensional representations, will be displaying their recent works at the Art League of Long Island, from January 15 – 30, 2011. Kadish’s works, strongly influenced by ancient Asian materials and methods to create unique clay forms and vessels, as well as an array of her figurative Buddha sculptures, are an expression of her artistically diverse abilities. Delloiacono’s current body of work uses the ceramic wheel as a tool of both construction and deconstruction. 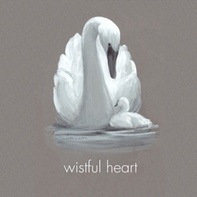 His goals are to demonstrate both his intuitive abilities with the medium and convey a powerful, conceptual perspective. The combination of both Mrs. Kadish’s representational and figurative work and Mr. Delloiacono’s conceptual and abstract work exhibits the true beauty of Clay Convergence. Proceeds from the sale of Mrs. Kadish’s work will be donated for scholarships for children with learning disabilities through the Art League of Long Island. Proceeds from the sale of Mr. Delloiacono’s work, especially created for this event, will be donated to United Cerebral Palsy of Nassau County. For a look at works by Susan Kadish, visit www.susieart.net; for Christopher Delloiacono visit www.cldartistry.com. The Art League of Long Island’s 54th Long Island Artists Exhibit will be showing at the League’s Jeanie Tengelsen Gallery starting June 6 and run through July 3. The opening reception will take place June 11 5pm – 7pm. The exhibit can be viewed Monday through Friday 9am – 4pm, and on Saturday and Sunday 11am - 4pm. The gallery is located at 107 East Deer Park Road in Dix Hills, NY. For more information call (631) 462-5400 or visit www.artleagueli.org. The Art League of Long Island, now in its 56th year, celebrates its popular Long Island Artists competition with a reception for the winning artists on Friday, June 11, from 5 to 7 PM. This year’s exhibit features 46 artists, chosen by Heidi Lange, director of the DC Moore Gallery, 724 Fifth Avenue, NYC. 20% OFF M. Graham Watercolors - M. Graham has created a watercolor with exceptional amounts of pigment in an old fashioned binding medium of pure gum arabic and natural blackberry honey. The result is watercolor of extraordinary strength that is easily diluted for smooth, controlled washes and deeper "darks". Alive with strength and intensity, watercolor made with honey absorbs moisture from the air, preventing hardening on the palette or in the tube. 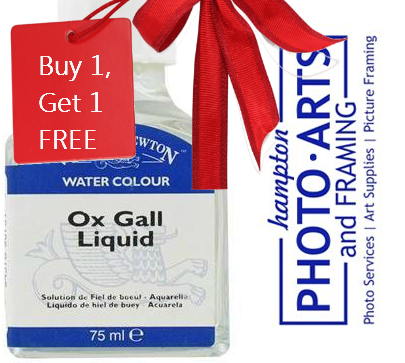 Buy 1, Get 1 FREE Ox Gall - A few drops of Ox Gall are added to a jar of water and this is used to dilute the watercolor. Ox Gall is also used on very hard sized papers to reduce surface tension. If a paper is resisting a watercolor wash, leave it to dry before covering the paper with the diluted Ox Gall. Once this is dry the painting can be continued as normal. 20% OFF Fredrix Watercolor canvas Pads - Fredrix Watercolor canvas is a revolutionary new watercolor surface made of 100% Cotton. The unique texture of an all natural woven material, in combination with a proprietary patented specially formulated acid-free coating, delivers a unique new watercolor painting experience and distincitve look that can only be captured on canvas. Picture Windows: a solo show by photographer Jason Green. Come join Smith and Jason Green for an opening on August 13th from 5-10 pm and look through the biggest picture window in town. Bliss Foods joins in providing delicious refreshments for the Picture Windows opening at Smith, 28 Nugent Street in Southampton, NY. The photo exhibition of Mr. Green's newest work will run through September 13th, displaying fresh, evocative land and seascapes Along side 4 clothing designers: Sister Cat, Alissa Smith, Anna Marcel, and Alisha Trimble. In his late twenties, Jason Green has been photographing on the east end of Long Island for several years. His work has been displayed at many galleries and art collectives, including Arts 4, Bonic Tonic, the Benson/Keyes Gallery, East End Arts Council, Labl, Wild Thyme Restaurant and The Chelsea Community Center. His photographic work is in the collections of private patrons and is regularly featured in the Independent newspapers. He also received an honorable mention in 2005 at the East End Art Council's juried show. This will be Jason Green's first solo show. 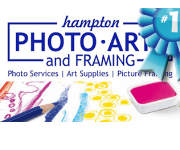 "Mixing fun with a serious purpose was the idea behind the creation of the Hamptons Art website, www.fripit.com. Website administrator Ben McHugh, who enjoys the process of setting up websites, started Fripit three years ago when artist friends began asking him to design sites for them. In order to avoid being swamped with lots of favors for friends, Mr. McHugh said he’d make one website and post whatever anyone gave him there. At first, Fripit was the cyberspace home for artists without websites, people who felt thwarted by technology that seemed difficult to master. Now most of Fripit’s artists have their own websites but still want to be part of a website group." A sextet of local Hamptons artists will display their works at Wildthyme on Friday. After the "Local Harvest" show, a $25 fixed-price dinner will be available. Featured artists include Darlene Charneco, Kristen Miller, Tracy Collins, Maggie Shively, Candyce Brokaw and Jason Green. A reception, with free wine and hors d'oeuvres, goes from 5:30 p.m. to 7 p.m. The prix-fixe dinner menu choices include Tuscan-style white-bean soup, an onion tart with Catapano Farms goat cheese, spring-vegetable risotto, tempura-style wild shrimp and Iacono Farms chicken. Dessert: semolina cake with foraged berries and whipped cream.